Industry leading non-commercial technical forum. We are using kanetic conveyor 13inch size. The conveyor belt moves reverse direction when pcb comes. what could be the problem? 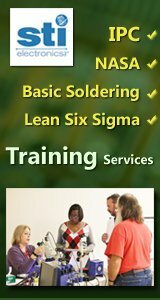 soldertools.net - Soldertools.net is an online storefront for a variety of product categories related to PCB assembly, PCB rework and solder training. ASC International - Supplier of Optical Based Inspection and Measurement Equipment. Find and be found with SMTnet's browse and advanced search features. Hangzhou Wipex Nonwovens Co.,Ltd - Wipex Nonwovens ,as a leading spunlace nonwoven manufacturer, has built a reliable reputation for delivering quality spunlace nonwoven products with the most reliable service in the nonwoven and cleaning industry. permatech electronics inc - Permatech Electronics started as an electronic circuit board assembly company in 1992. We established the Permatech Quality Assurance manual at the same time to place focus on our prime directive: quality. Browse listings for new and used smt, pcb assembly equipment for sale and wanted.